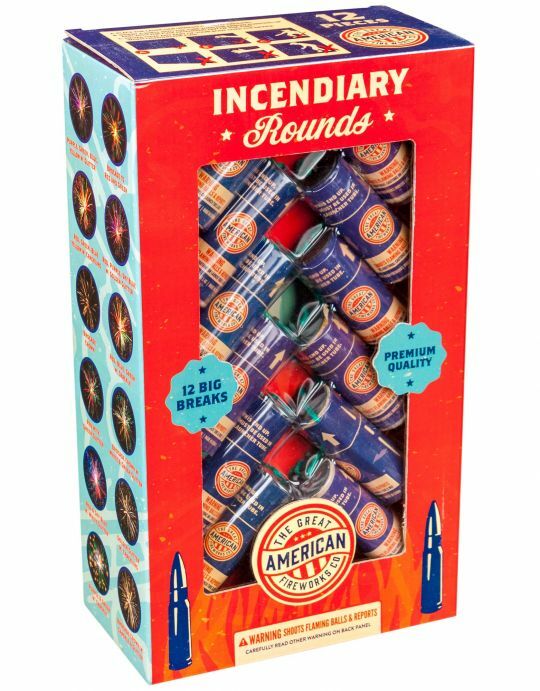 12 high-quality, 1.25" canister shells with assorted effects. The kit includes a fiberglass tube. 1" Mini Magnum is a lot of fun in a small pack. This kit includes six 1" shells of assorted effects, and a 6"-tall tube for launching them. This artillery shell 3-pack comes with 3 different reloadable shell kits, each with six shells - a total of 18 shells and 3 firing tubes! Festival Balls are a great value for entry-level artillery shells. This kit includes six colorful breaks with crackle.